For those of you in the Southeast, you’re probably familiar with the lack of snow that we get around here. The last time we had significant snow here was three years ago, and it’s something we don’t even get on a yearly basis. So, naturally, when we know it’s coming, the grocery stores get insanely packed with people loading up on milk and bread. Literally, there was no milk or bread left almost anywhere, it was nuts. Luckily, we already had milk and all the ingredients I needed for these muffins, so I made them the day before the snow hit just in case we had lost power and I wouldn’t be able to cook anything. Preheat oven to 375 degrees. Whisk together dry ingredients in a mixing bowl, then add wet ingredients and stir together until mixture is moistened. Stir in apples. Spray two muffin pans with cooking spray, distribute batter evenly between pans. Bake for 19-23 minutes, or until tops are a light golden brown. Cool slightly and add topping. Mix sugar and cinnamon together. 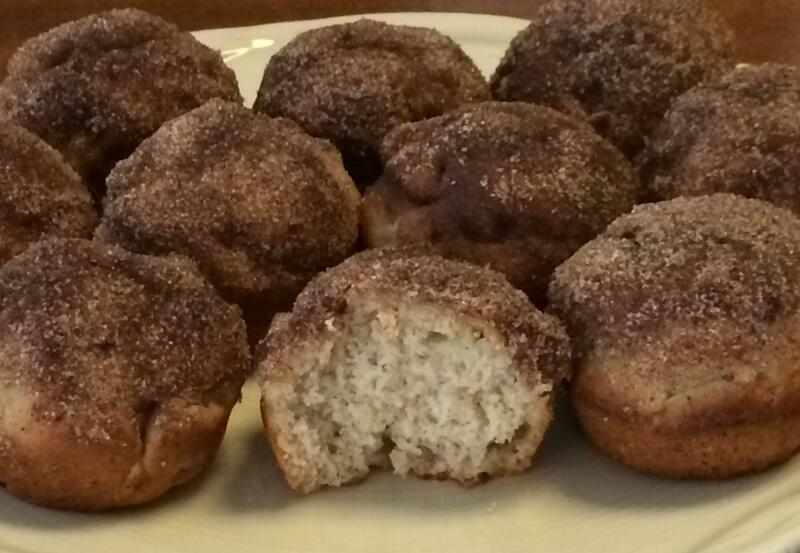 After muffins come out of oven, dip each one in melted butter, then in cinnamon sugar mixture.